Use this moving abroad planner I’ve put together for Thailand as a checklist of everything you need to know and do before and after you arrive in this country. Choose a city using Wikitravel. Make a budget based on the cost of living information found on Numbeo or Expatistan. Check the Center for Disease Control and Prevention website to see if you need to get any vaccines. Book a flight on Expedia , Travelocity , Kayak, directly on the airline’s website, or your favorite flight booking site. Book short term accommodation using TripAdvisor, Expedia , Hotels.com , Airbnb, Hostelworld , Booking.com, or your favorite accommodation booking site. Get travel insurance from World Nomads or your favorite travel insurance company. 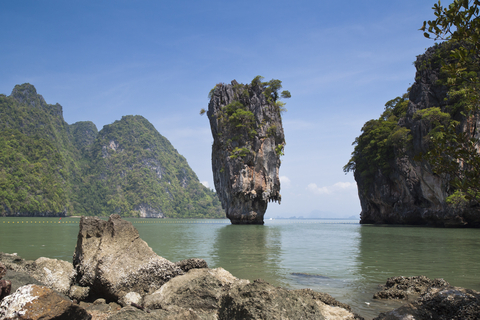 Research Thailand visa requirements and, if necessary, secure a visa. Find an international relocation company using Expat Focus. Learn about how to ship your dog, cat or pet at PetRelocation.com. Notify your bank and post office that you are moving. Check currency exchange rates at Oanda.com. Find out what electric outlets are used in Thailand by doing a search on this page on Wikipedia. Shop for last minute items on Amazon.com. Learn about the airport amenities by browsing iFly.com. Track your flight status using Flight Stats or Flight Aware. Take a taxi from the airport to where you will be staying. Get a rental car on Expedia , Travelocity, or your favorite car rental booking site. Sign up for an online dating site. Continue looking for a job. Explore telephone and internet options. Check out good places to eat using a site like TripAdvisor. Research things to do on Wikitravel. Check to see when the public holidays are. Search for a doctor or dentist. Extend, renew, or apply for a new visa. Follow some good expat blogs.